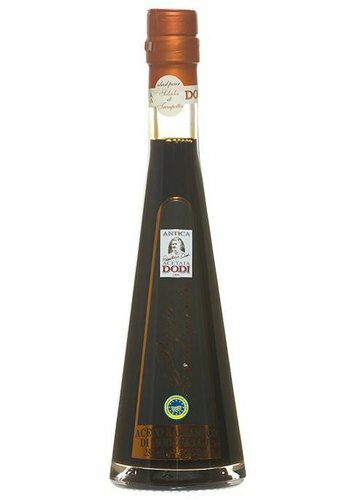 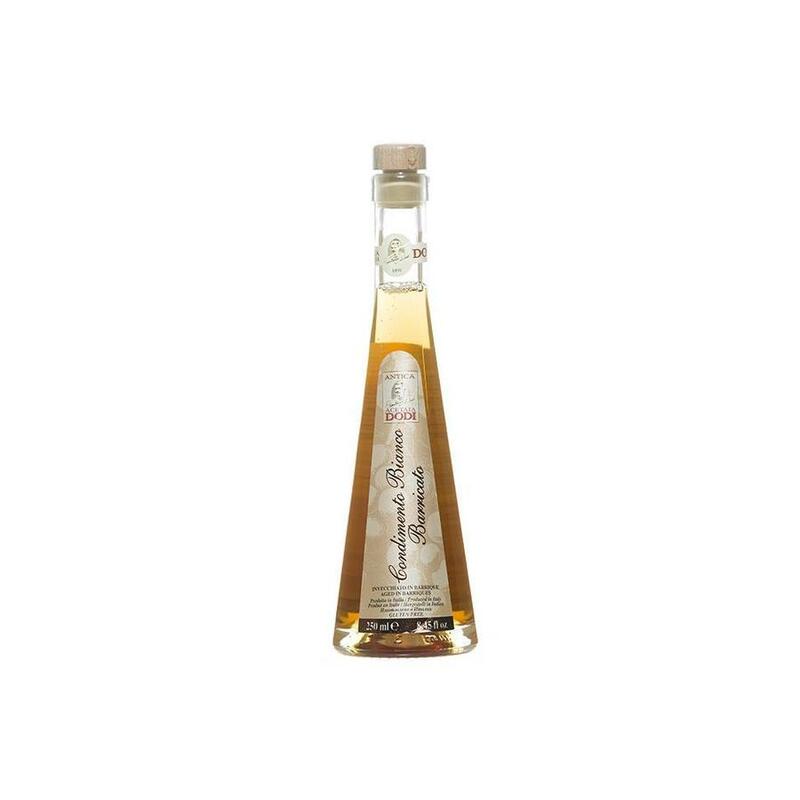 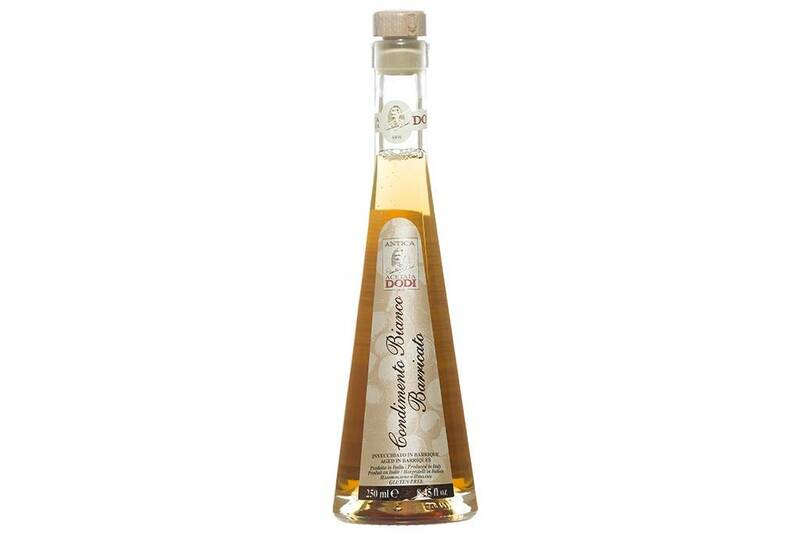 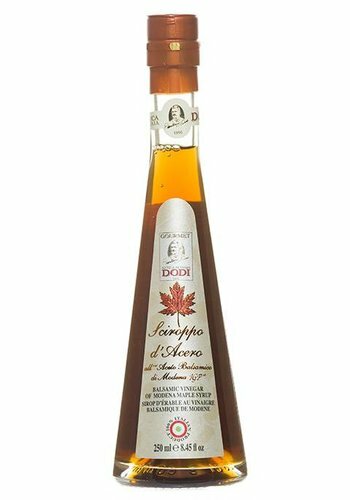 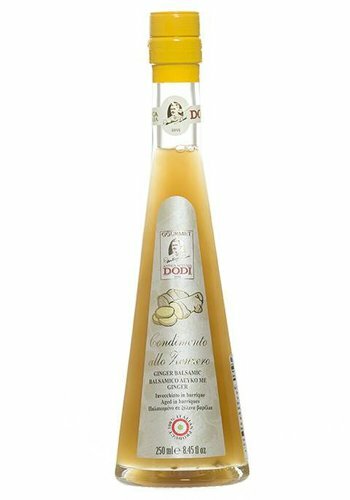 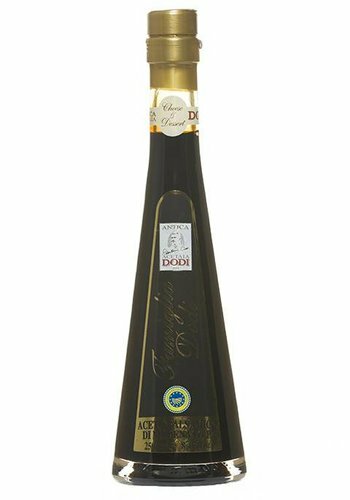 Dodi's White balsamic vinegar from Modena is aged in barrels made of different types of wood: ash, mulberry, cherry, chestnut, oak and juniper which gives this balsamic vinegar a unique personality. Add it to your favorite meals, ideal to deglaze your vegetables and to accompany fish and seafood. 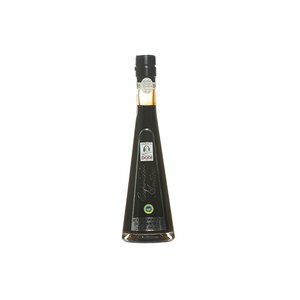 For an original touch, sprinkle over melon. 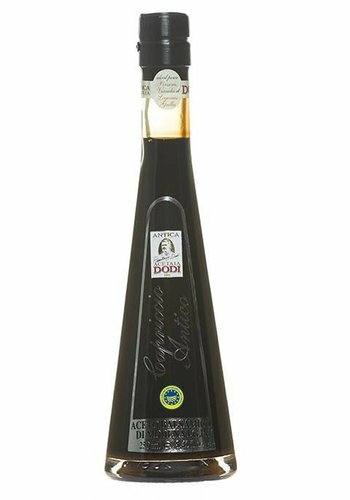 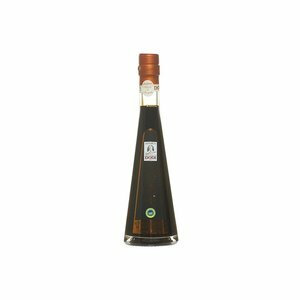 Acetaia Dodi family is synonymous with balsamic and since 1891, wood casks for aging this honored vinegar have been gifted from family member to member.